Product prices and availability are accurate as of 2019-04-21 19:23:33 UTC and are subject to change. Any price and availability information displayed on http://www.amazon.com/ at the time of purchase will apply to the purchase of this product. 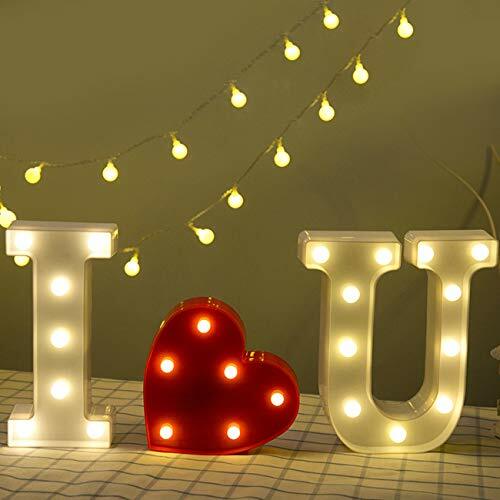 Light up your favorite words for special occasion, event, or home decorating. Such as home, birthday party, outdoor, bars, cafes, children's room decorated,etc. Create a romantic and warm atmosphere, gift giving and much more. 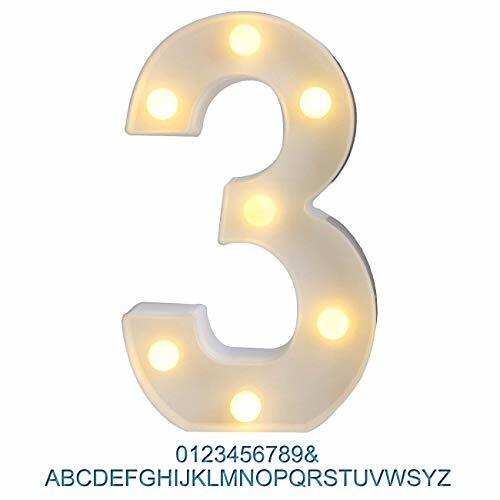 Can be displayed stand alone or combined with other pieces to create an eclectic lighting installation. 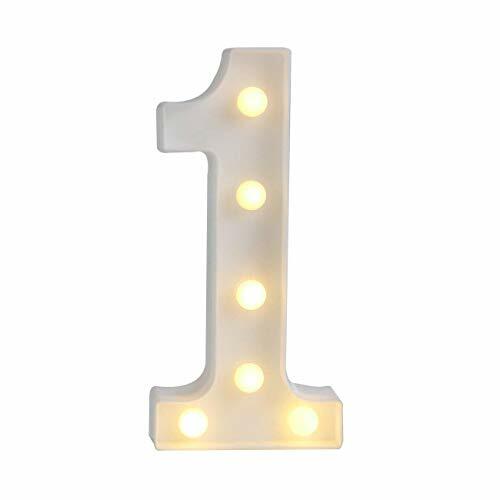 Light up your favorite words for special occasion, event, or home decorating. Such as home, birthday party, outdoor, bars, cafes, children's room decorated,etc. 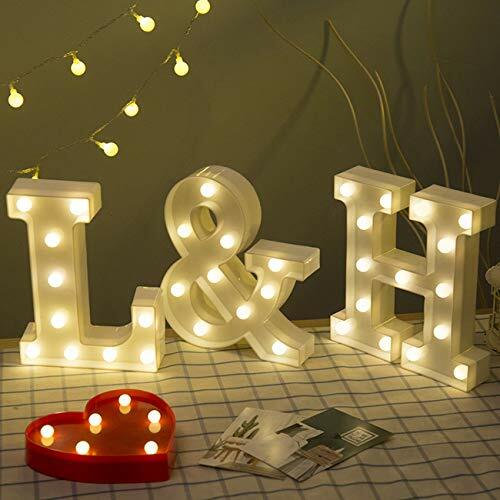 Create a romantic and warm atmosphere, gift giving and much more. 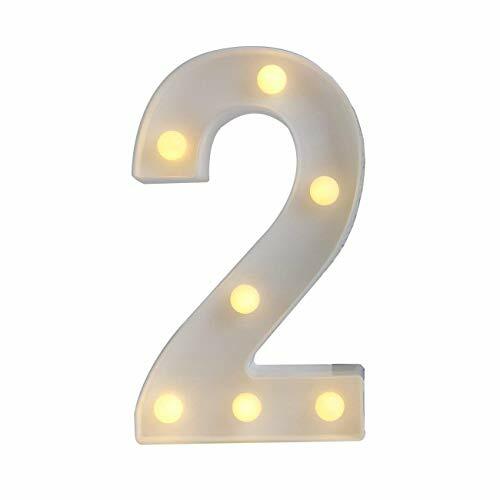 ABCDEFGHIJKLMNOPQRSTUWXYZ & 27 alphabetic and 0-9 numbers character LED lights, such as for arbitrary combination into I LOVE U, HOME, MARRY ME, U&M, etc. Our illuminated marquee lights are highly versatile and portable as they measure just 8.66 inches tall, can be hung on walls and will take 2x AA batteries so they are not too oversized and will not need to be plugged into an electrical outlet. 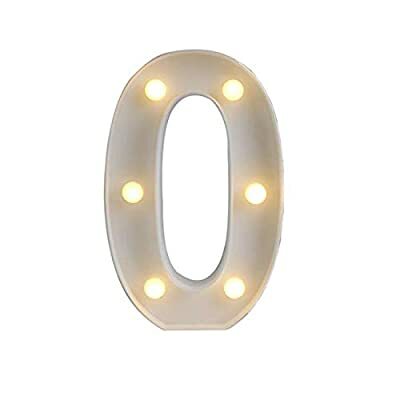 Made of Plastic, Requires 2 AA batteries, not included, can be hung (has keyhole slot in back for easy hanging) on walls, mantels or placed on top of a reception table during your event or celebration. An attention grabber and draw eyes as the apex of your wedding, party, special event, etc.